has now become a "FOREVER" Stamp. 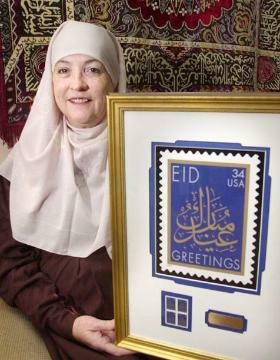 white calligraphic design was then colorized by computer. 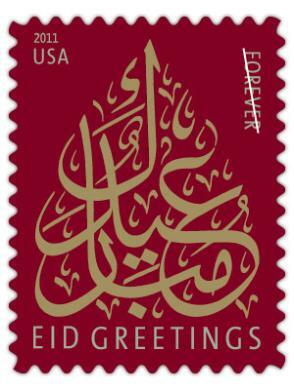 the new "Forever" Eid Stamp.